Lilly Caul has risked everything. She has weathered over four years of the apocalypse. She has done things that she would not have dreamt of doing in her darkest nightmares. But she has survived. And now, she has staked a claim in the plague-ravaged city of Atlanta. It is a safe haven for her people, rising high above the walker-ridden streets, a place of warmth and comfort. 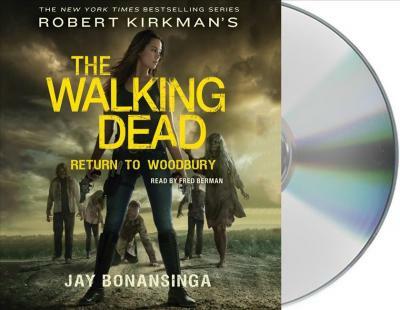 She still dreams of her former home--the quaint little village known as Woodbury--a place of heartache as well as hope. For Lilly, Woodbury, Georgia, has become a symbol of the future, of family, of a return to normal life amidst this hell on earth. The call is so powerful that Lilly decides to risk everything in order to go back... to reclaim that little oasis in the wilderness. Against all odds, against the wishes of her people, Lilly leads a ragtag group of true believers back across the impossible landscape of walker swarms, flooded rivers, psychotic bands of murderers, and dangers the likes of which she has never known. Along the way, she discovers a disturbing truth about herself. She is willing to go to the darkest place in order to survive, in order to save her people, in order to do the one thing she knows she has to do: Return to Woodbury. ROBERT KIRKMAN is the creator of many popular comic books, including Walking Dead, Invincible, and Super Dinosaur. In addition to being a partner at Image Comics, Kirkman is an executive producer and writer on The Walking Dead television show. In 2010, Kirkman opened Skybound, his own imprint at Image, which publishes his titles as well as other original work. JAY BONANSINGA is a New York Times bestselling novelist whose debut novel, The Black Mariah, was a finalist for a Bram Stoker award.